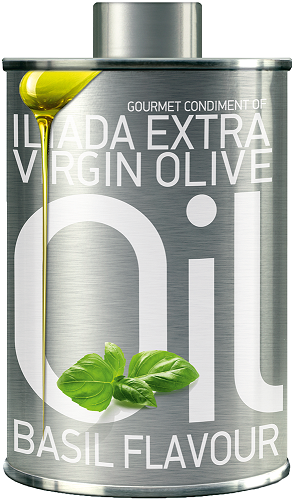 Iliada Greek Extra Virgin Olive Oil with Basil. 200ml. 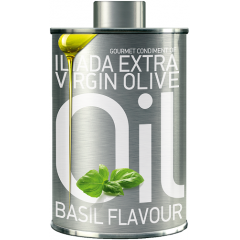 Home > Oils > Iliada Greek Extra Virgin Olive Oil with Basil. 200ml. Bursting with the vivid aromas of green olives and fresh basil with an overall fruity undertone that builds up in your mouth to produce a spicy and slightly bitter flavour.